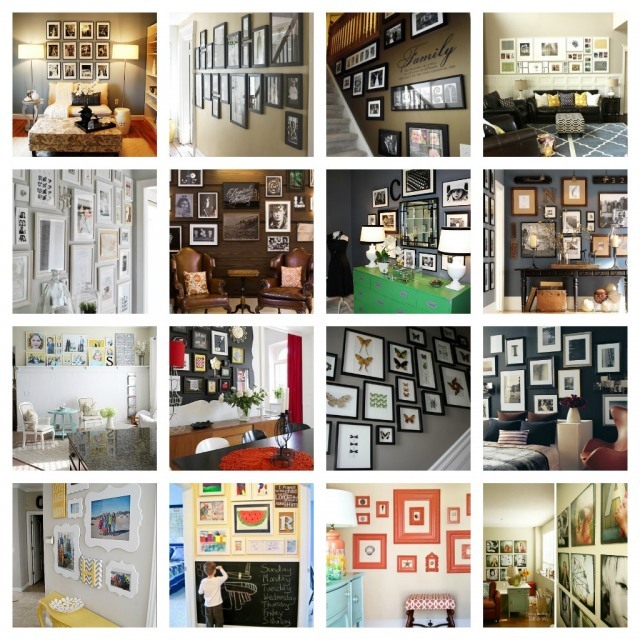 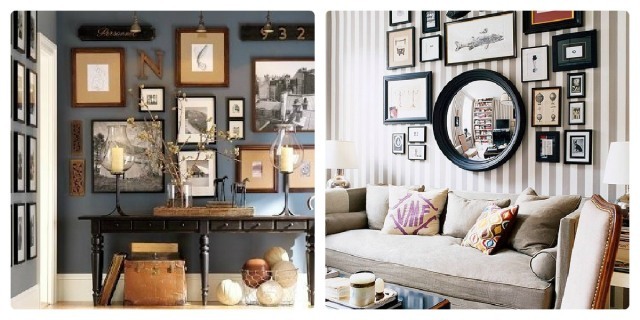 A splendid gallery wall is the show stopper !They are so versatile and it’s so convenient to change the display according to evolving tastes.They look great on stairways ,mantels, or anchored by a piece of furniture.These are some of the best arrangements in the blogosphere I’ve fallen in love with and I find them very inspiring. 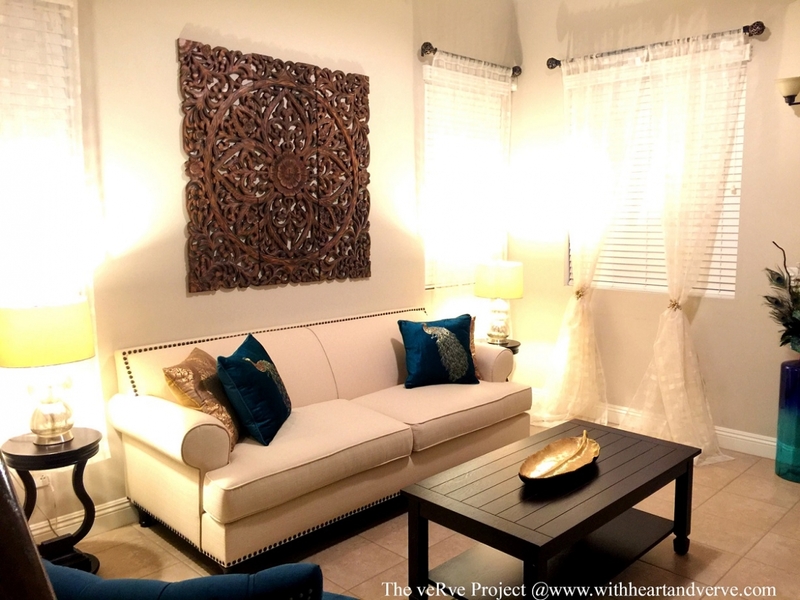 I like them balanced somehow (seen below)if not symmetrically,maybe a cohesive element like color,shape,concept that ties them together adding balance makes it more appealing to me. 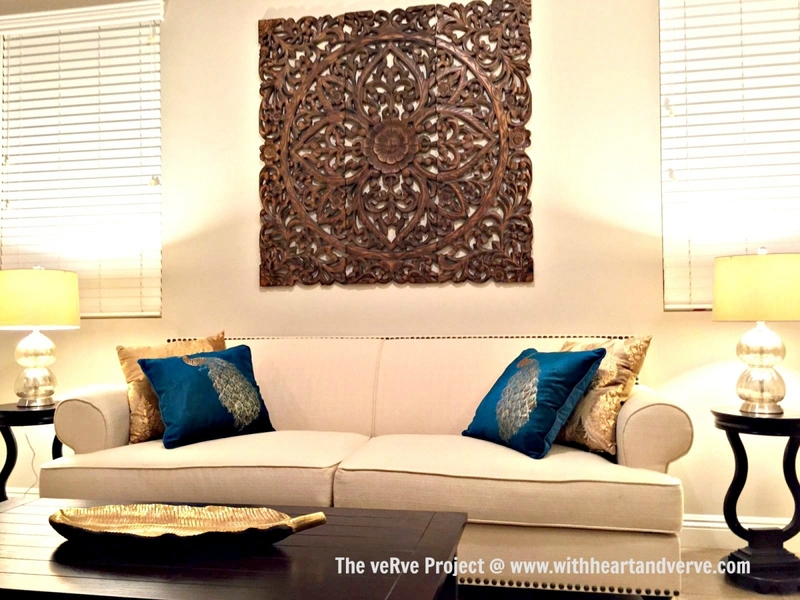 Contrasting background ,accent colors, patterns or a wall-to wall arrangement as seen below from yhl folks done subtly also makes an interesting gallery. 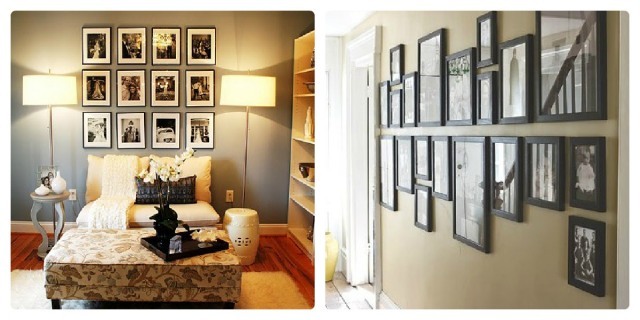 Veering away from the conventional photo frames,mixing different elements like art,personal artifacts,cool prints ,showcasing kids artwork,prized collections,vinyl quotes etc. 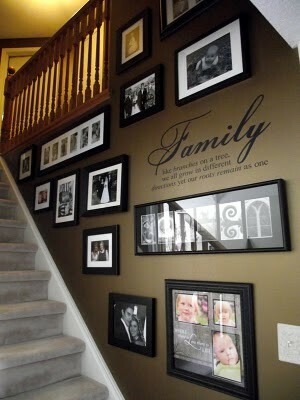 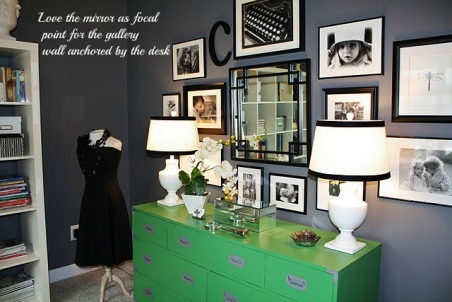 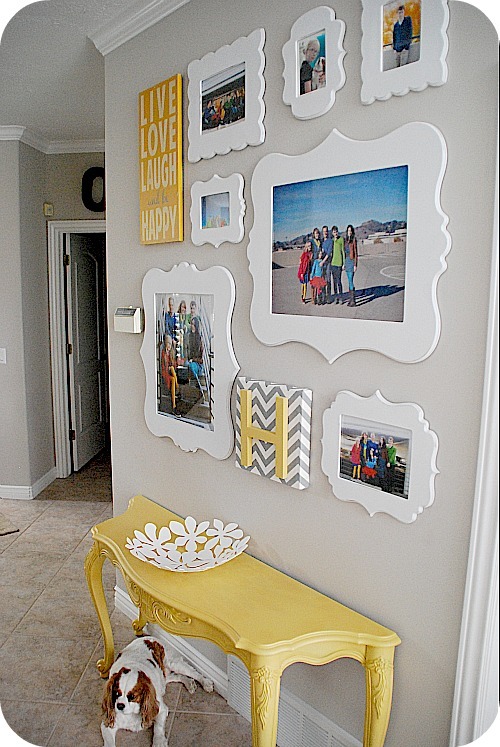 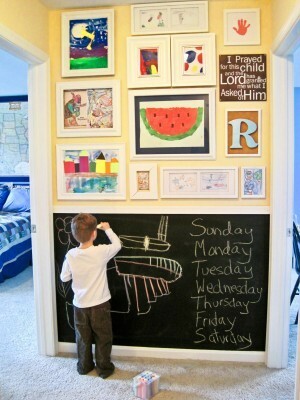 with family photos also creates whimsical gallery and it totally rocks my world! 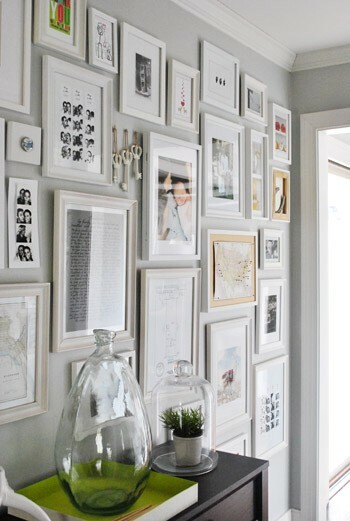 I’ve been thinking about doing a gallery wall in my home-more on that soon…but I’ve found plenty of inspiration to tackle it and I’m loving the idea and can’t wait to share it with you guys!Stay tuned to check out my gallery wall…coming soon! 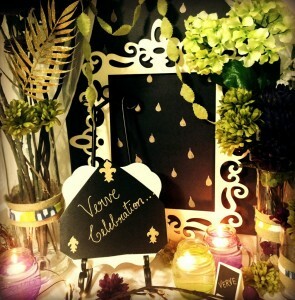 This entry was posted in Home decor projects and tagged frames, Gallery wall, home decor, photos.